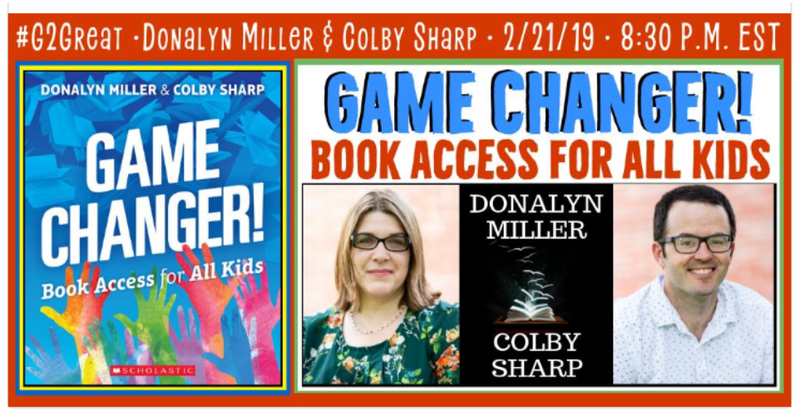 On Thursday, February 21, 2019, Donalynn Miller and Colby Sharp, creators of the #NerdyBookClub and successful authors, were first time guest hosts on the #G2Great chat about their book, Game Changer: Book Access for All Kids. Interest and excitement was off the charts due to our rock star authors and because of the topic: Books and Access for ALL Kids! 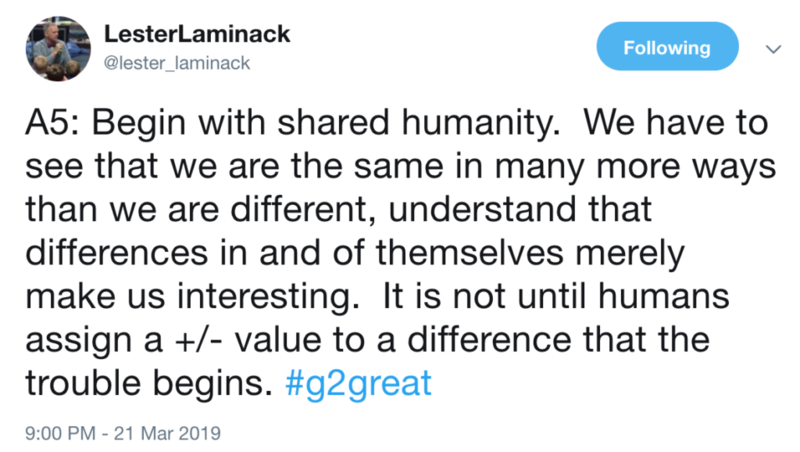 Many themes surfaced during the chat, but this post is going to focus on three. 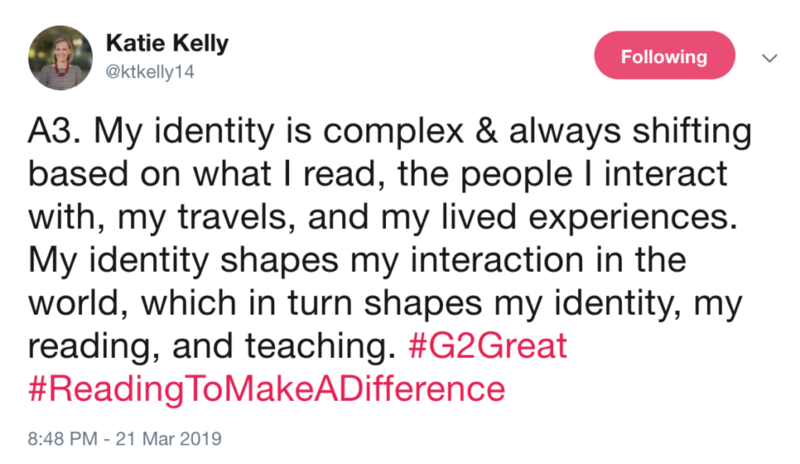 Three big themes that apply to ALL students at ALL ages and in ALL communities: Access, Choice, and Equity as well as focus reflection questions to guide future actions. In order to be readers, students need access to books in their classrooms. 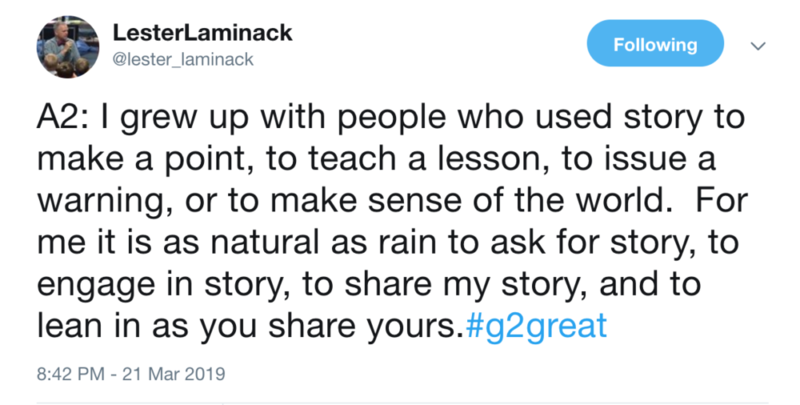 Access in all classrooms – not just English Language Arts classrooms. How many books? Some authors suggest up to 2,000 books. Take inventory. Consider which books students are actually reading. Then gather books from the school media center, public library or inter-library loan systems during particular curricular studies to supplement your library as a bonus for all students. 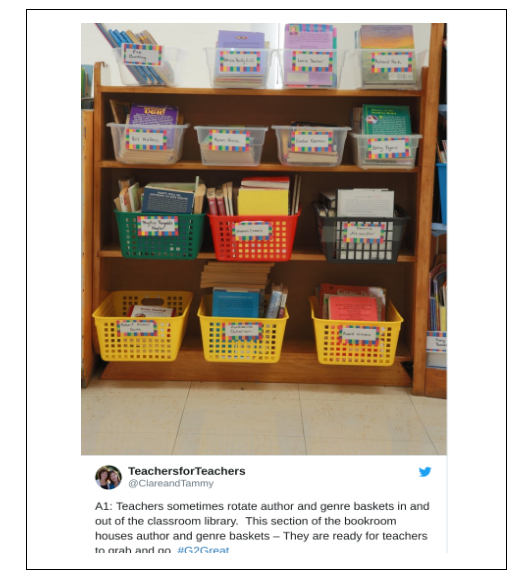 Reflection Questions: a) What if every classroom in our school had a class library, whether it was ELA, math, science, art, music or PE, provided and provisioned by the school? 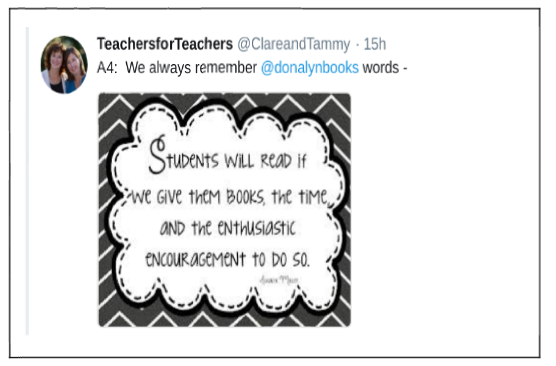 b) What if students had access to a reading class at every grade level in school? 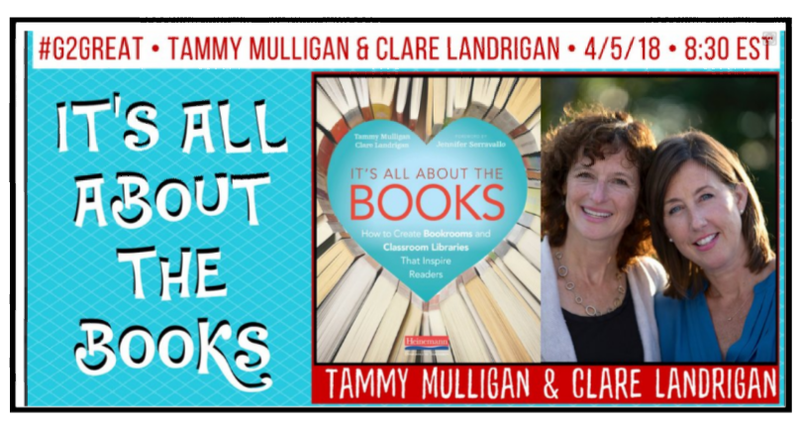 Classroom libraries provide immediate access for books for students, but even the best classroom libraries can be supported with rich media centers and full-time librarians. How extensive is the media center collection? How are new books chosen? Displayed? How does the media center support the curricular needs of all content areas? 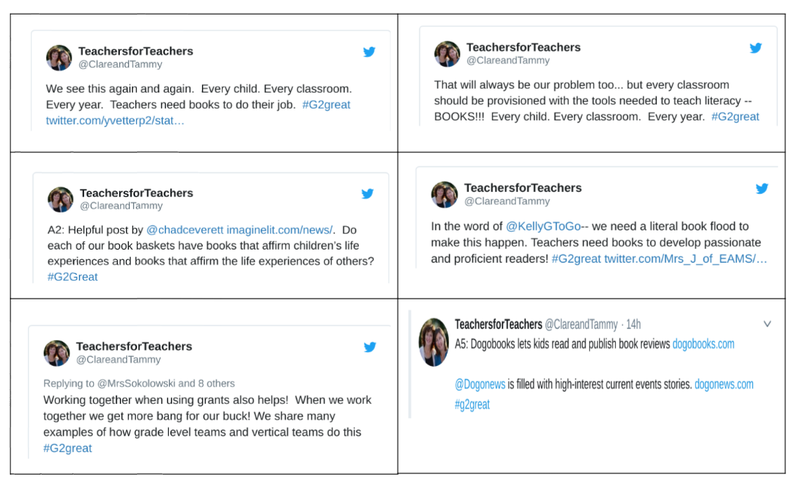 What policies and routines are in place to maximize student access to books? Are students restricted in the number of books they can have checked out at one time? Are students allowed to go to the media center one day per week or cycle? Reflection Question: What policies, procedures and practices increase student access to our media center and which ones do we need to STOP because they are counterproductive? School book access can be supplemented with access to book collections at the approximately 9,000 public libraries across the U.S. Variations exist from community to community in the basic requirements for library cards. This may include forms of identification, proof of residency, or references before a card will be issued. The ability to use public transportation to physically access the library may also be a hinderance. Other access issues may include the hours that the library is open – are those outside the school/work day? Is there a limit on the number of books that can be checked out? Another consideration with public libraries may be the school staff’s normalization of the use of the public library. Do school staff routinely use the public library to extend their collections? 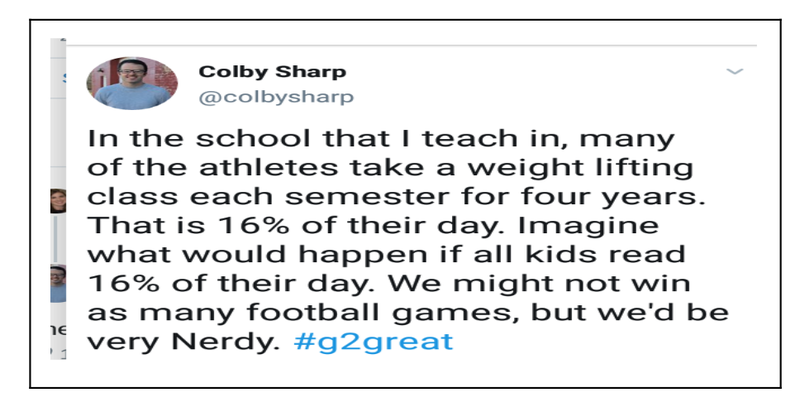 Do teachers routinely share their use with students? Is public use of the library seamless and easy to access for all patrons? Reflection Question: Have we had whole staff conversations about the complementary services of our public library? Access to books cannot be limited to the six or seven hours per day that students are at school. Reading is a habit – for life – not just for school. Access to books in the summer through books from school or public libraries can help prevent “summer slide” and continue to develop life-time reading habits. Year-round book access is critical. 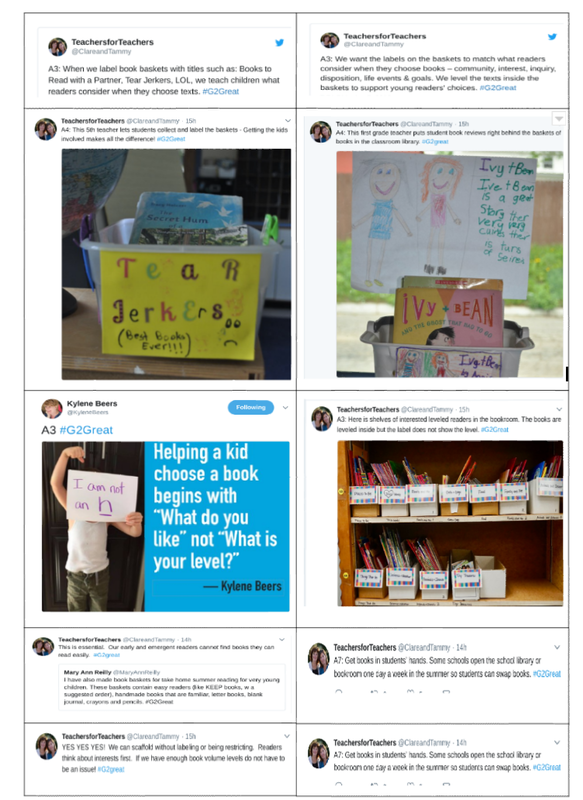 Reflection Question: Who is coordinating conversations with families so our message is coherent across all grade levels and buildings and also HELPFUL for families? Students need access to books everywhere and anytime in the community. 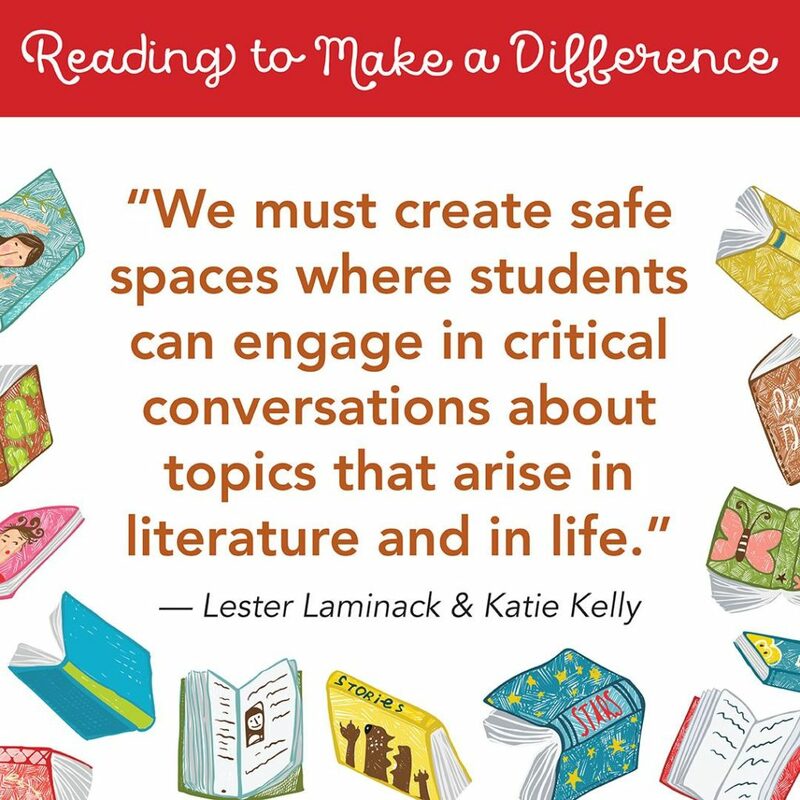 Access to rich texts that they want to read, that compel them to read, and that result in conversation with peers and adults is vital. Books need to be visible everywhere in the community as well as available year-round in order to fill in summer, school breaks, and holiday access gaps from schools. Reflection Question: How have we initiated conversations with our community stakeholders to increase access? Students deserve to choose what they are reading. Force-feeding specific texts day after day, year after year equates reading as a chore. Not fun. Not pleasurable. Not enjoyable. And then, of course, not likely to be sustained outside the school day. Nice collections of engaging, relevant books on shelves may look good, but just admiring books is not enough! Books need to be read in order to be savored and thoughtfully digested. And the best books are the books that students choose to read themselves. You have already read about access, but another feature of choice is time . . . Time to read. Not just reading “when your work is done.” But instead, time that is regularly scheduled when students are reading a book of their own choice. 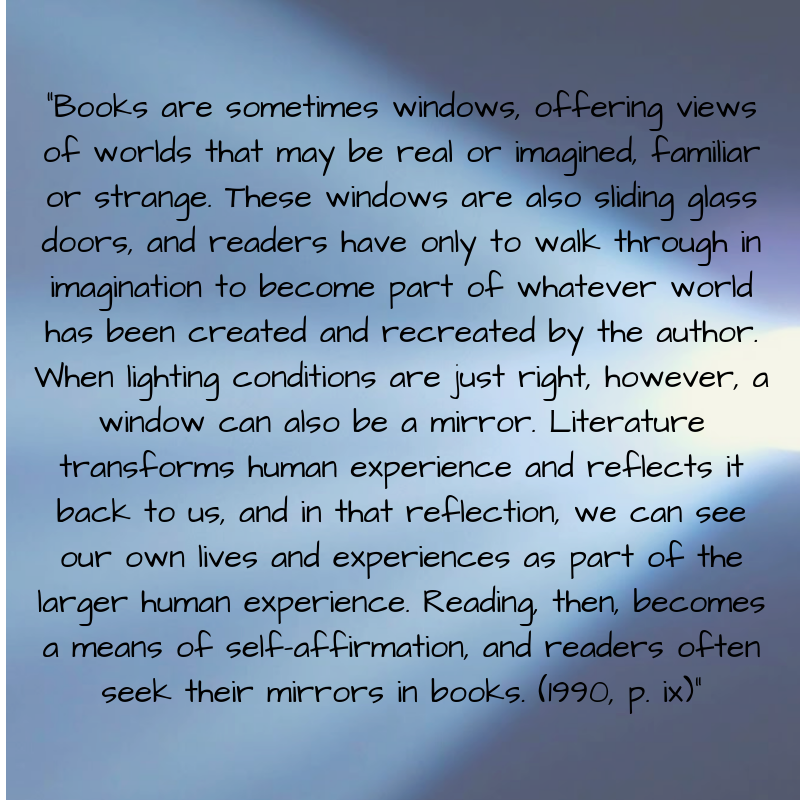 Reflection Question: How do we ensure that students have choice in their book selection as well as time to read? Equity means several things. One meaning would be ensuring that all the access issues above are “equitable”. Not equal. Equitable. 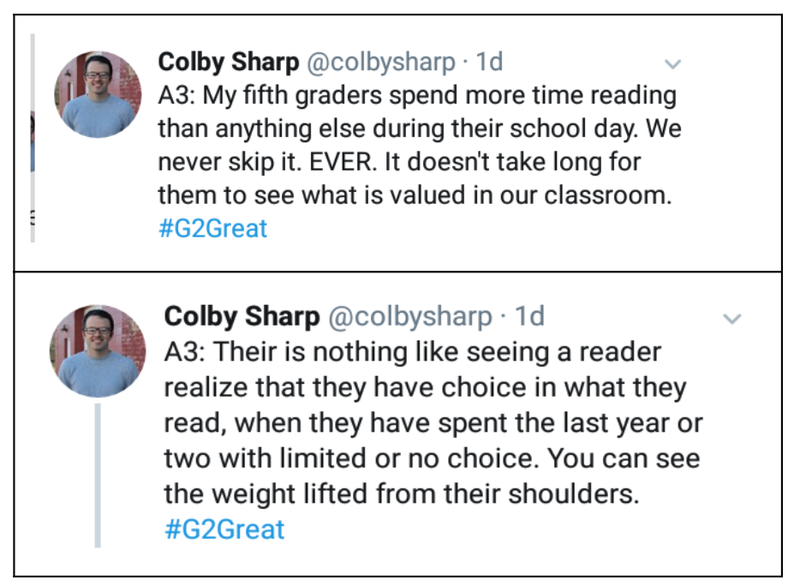 A second meaning is beyond students “getting what they need” but that students deserve to see themselves in the books that they have available as reading choices. 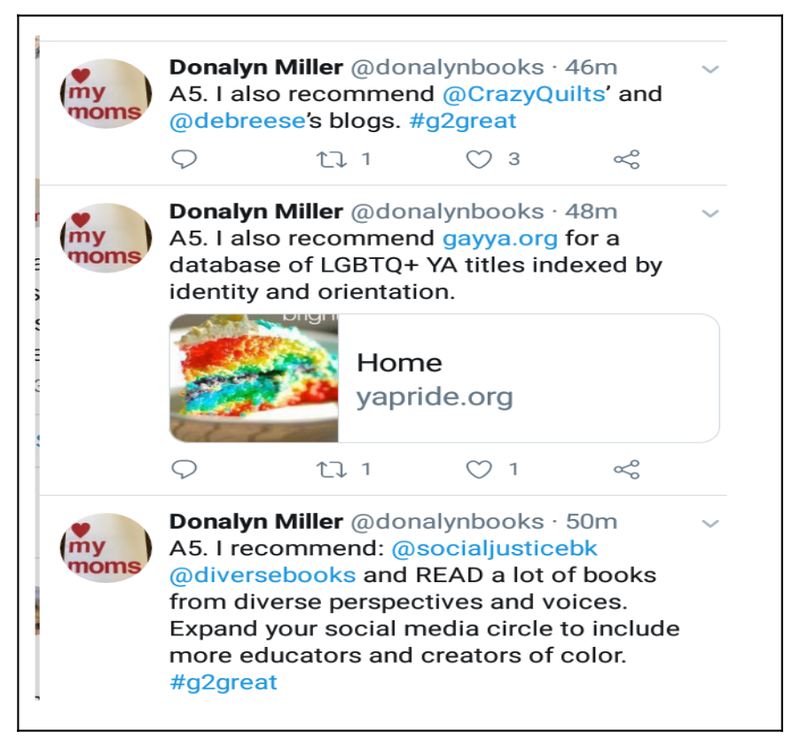 Teachers and librarians need to know the authors and books that represent their students and families in their community. 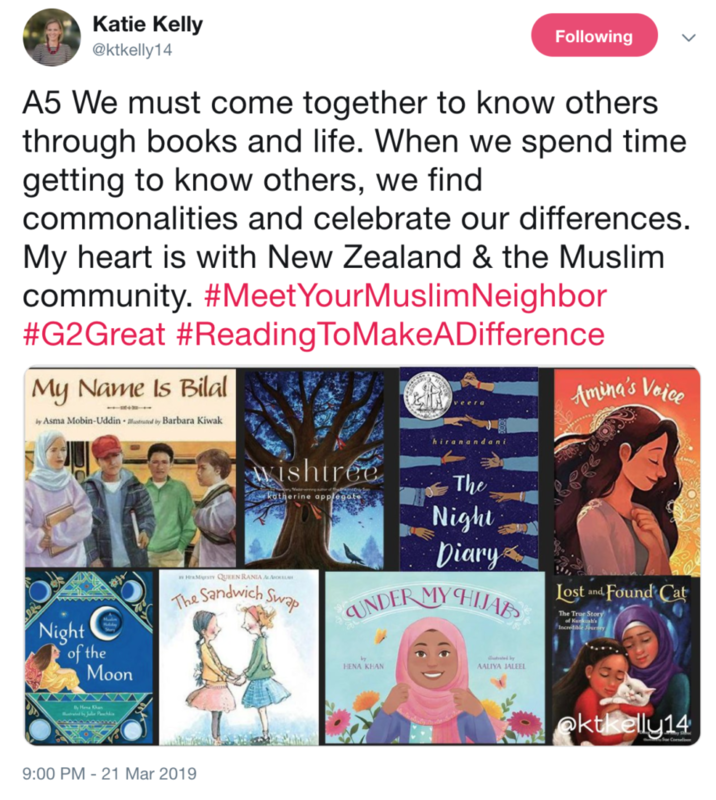 How does one collect the diverse books that are needed? #diversebooks is one source. Reflection Question: What do we as a staff know and believe about equity, what sources do all staff use, and then how are those sources communicated? What was the purpose behind Game Changer? Meaningful and consistent access to books. You may remember this video from Ocoee Middle School in 2009 that has had 883,395 views: Gotta Keep Reading. 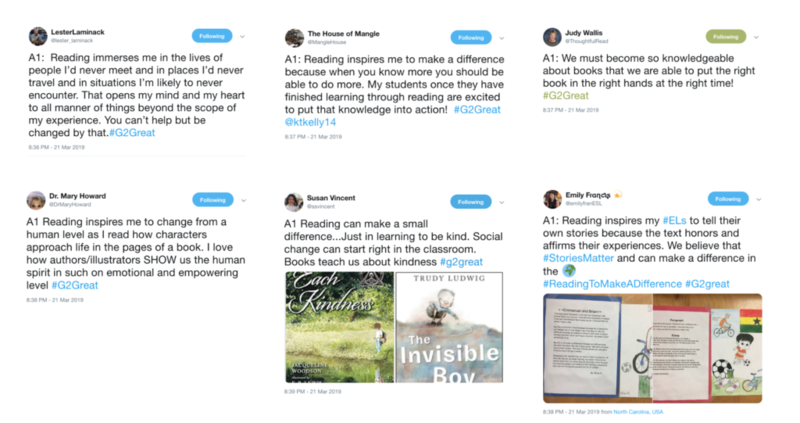 How do we keep that passion for reading? How do we encourage a love of reading? It truly takes ALL of us working together as a literacy community! 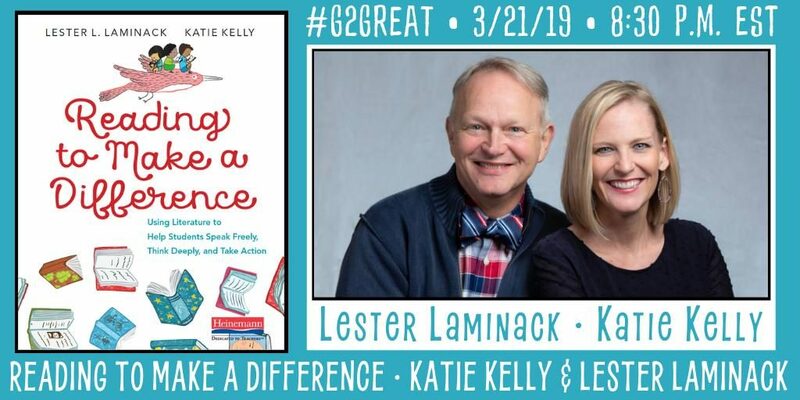 Why was this extra special for #G2Great? This chat was extra special because you can find both Dr. Mary Howard and our newest team member, Valinda Kimmel, in Game Changer! This book needs to be physically present and discussed in every school building across the country. How will you change the system? Parents: Why is Reading Important?